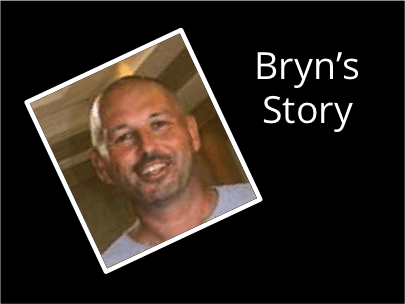 My name is Bryn and in May 2006, at the age of 38, I discovered a small lump on my side. It was removed in December 2006 and the biopsy revealed it was a non-malignant granular cell tumor. This was an enormous relief to me and my family. However, nine months later, I discovered a mass in my groin and a CT and biopsy revealed that I had an extremely rare cancer, a malignant granular cell tumor, and there were also several “spots” on my lungs. I was shocked, but felt healthy and ready to start treatment. Over the next month, I met with two oncology specialists who could provide little information on malignant granular cell tumors. I started a chemo regimen in February and after enduring many unpleasant side effects, the results were not good. My sister did some research and had read about Dr. Sant Chawla in Santa Monica, California, who specializes in all types of sarcomas. I traveled to Los Angeles and Dr. Chawla recommended that I start on Rexin-G.
My main concern was how could I possibly afford to stay in Los Angeles and continue to pay all of my expenses in Canada as well; it seemed impossible. As fate would have it, a doctor at the clinic suggested we contact the Lazarex Cancer Foundation. A few days later, my sister spoke with Lazarex Cancer Foundation and received fantastic news — Lazarex was ready and eager to help me right away. I was thrilled. They offered me a great place to live while receiving treatment and were also willing to help with my travel expenses. Since the end of May, I have been living in sunny California, thanks to Lazarex, and receiving treatment. I am in my second round of Rexin-G with Dr. Chawla and his wonderful staff. The Lazarex Cancer Foundation’s generosity in helping me fight this disease has been a morale booster and comfort to my friends and family. A heartfelt “thank you” goes out to everyone at the Lazarex Foundation from all of us. Your help has made it possible for me to receive treatment. I am truly grateful.